Euractiv portal has 19 May 2017 published Tomislav Karamarko’s analysis headed “Croatia at Crossroads”. 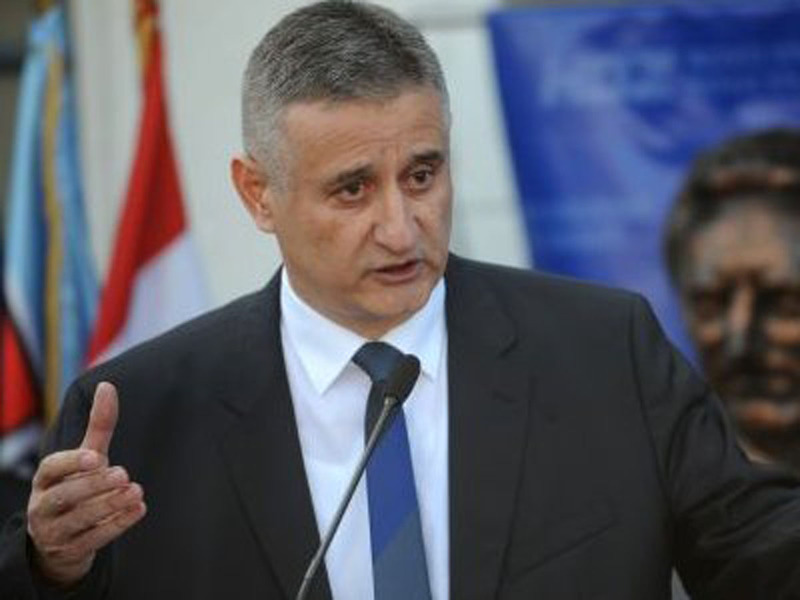 Given the newly founded Croatian Institute for Security and Prosperity, headed by Karamarko himself ,after spending some months of mainly staying away from public political spotlights ,he reappeared on the scene this month announcing new paths of action to achieve changes needed in Croatia it is of exceptional value to relay Karamarko’s published manifest on this blog . Tomislav Karamarko is chairman of the newly established Croatian Institute for Security and Prosperity. He previously served in government as first deputy prime minister and interior minister. He was president of the Croatian Democratic Union (HDZ) from 2012 to 2016. On Sunday (21 May), Croatians will go to the polls to elect new local councils and mayors across the country. Why should elections in a small EU country warrant much attention? Croatia’s location is of exceptional geostrategic importance: the Balkans has been a catalyst of global and regional military conflict for over a century. With forthcoming elections in Albania and Kosovo, as well as continuing political crises in several other Balkan nations, we are entering a period of profound political and security risk. The cloud of these political issues has overshadowed this year’s celebration of a quarter-century of Croatian independence. But looking back over the past 25 years, Croatia’s positive accomplishments are profound. The Croatian people are the main heroes of this story – making hard sacrifices, adapting to a new world, and committing to a constructive path for the future. We went from a state on the brink of collapse to a member of the European Union, a member of NATO, and a leader in the region. However, Croatia today is at a crossroads. Despite our accomplishments, the situation is uncertain and the problems facing our country, our region, and our world are just getting harder. Now is the time to build a stronger, more prosperous Croatia where every citizen has a chance for the best quality of life. To that end, I took first the steps for the official launch of the Croatian Institute for Security and Prosperity, which will be dedicated to help shape the next chapter for Croatia and its citizens. The first independent think tank in Croatia will bring together the best minds in Croatia and the world to tackle complex issues and propose real solutions of critical importance to Croatia’s future. The Institute will contribute to the development of a comprehensive and integrated plan for the future and address issues that are crucial to strong democracy, security and the economy. Unfortunately, Croatia has no long-term vision for development or the capacity to solve its most difficult problems; short-term thinking and crisis management have weighed us down. Our goal is to bring together people, ideas, and successful case studies that can be applied in Croatia in order to improve the lives of present and future generations. This is the right moment to think big and to craft policies that will both make Croatia safer and wealthier. Nothing demonstrates this more than the collapse of Agrokor, Croatia’s largest employer and business, which risks contagion to the wider economy. With some 50,000 or more jobs at stake and a regional ripple effect is already being felt in several neighbouring countries. I will leave it for law enforcement and the courts to investigate the causes of this crisis, though I imagine greed, self-interest, and a weak regulatory regime will have played a part in the story. There is also a significant international aspect. Agrokor is a major debtor of Russian banks, which can certainly result in Russia’s influence on economic processes in Croatia, and thus our security. The Agrokor upheaval also reveals structural problems and lack of diversity in the Croatian economy. Our largest employers are seasonal tourism and import-based businesses. Croatia’s domestic production capabilities have crumbled, as has our traditional agriculture base. We have not made the necessary financial or political investment in providing good jobs to our young people. That’s why we are facing the exodus of talented, creative and motivated youth from Croatia. Several years ago, I initiated a pilot program to bring Israeli advance agriculture technology and know-how to Croatia to improve the agricultural output of our fertile soils in the east. This highly successful programme serves as a model of how to achieve sustainable solutions by applying international expertise to Croatia’s challenges. In the coming months, in cooperation with our international partners, the Institute will be developing and leading the implementation of new programs to reinvigorate our agricultural and domestic manufacturing base and put the talents of our youth to work in Croatia. Our food and water are our some of our most important natural resources. Development of strong rural areas is a pre-requisite for a successful country. We can take comfort in our accomplishments and being an independent nation. But the hard work is just beginning. I hope my fellow citizens and all of Croatia’s friends in Europe, America, Israel and elsewhere will support our efforts in building stronger, safer and prosperous Croatia. Our success will help bring stability and prosperity to the entire Balkan region. I hope the right leader is elected Ina.. Here too we have our elections again on June the 8th.. May the right one find their places.. I have a lot to say on this subject but it wouldn’t fit into this comment section. I don’t know Karamarko personally so I can’t judge his qualifications or opinions on what he thinks. I don’t think it takes an intelligent person to figure out what is wrong and how to fix it. Our government thinks it is in charge and control of the people and this is very wrong. The people elected these politicians to manage our money and to give us what we want and not what they think we need. Until this status quo/condition changes, nothing else can move forward. Democracy is not about voting politicians. It’s about We the People telling the politicians what we want and they manage the processes. It doesn’t take anyone intelligent either to know that we sold out to the EU; instead of staying sovereign and expanding all of our production bases through agriculture, farming and whatever else we have the capacity to do; our governments or Jadranka Kosor signed away our sovereignty by agreeing that we would import 70% and export 30%. No country can sustain itself on these numbers, no way. Nobody asked me or you or any other fellow citizen what we think or what solutions we might have. There are plenty of them, but until we are under the control of the EU, NATO and the Central Banks, THEY have no interest in serving us. Their only interest is filling their pockets. Sadly, this is the truth not just in Croatia but all EU countries. Look around, do you see any EU state that can brag about it’s prosperity? The Solution: Get out of the EU first. Between paying for EU membership and now NATO we don’t have enough to feed the hungry let alone turn this country around. We are too focused on JOBS and that’s the symptom right now. We need to look at the picture, see what the CAUSE of this disease is and get rid of it. So well said, Ines. The trick is getting the political elites to listen to the people but more than that, the times I think dictate greater activity from the grassroots – the people! 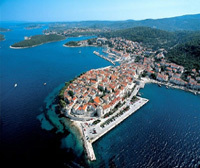 Ines, this issue is more complex for Croatia for the following reasons. 1. The system of law and individuals within it has not substantially changed since Yugoslavia. 2. Old and young Communists are running the country in a autocratic and corrupt manner, as they do. They know no other way and don’t want to know. 3. The media is Croatia is biased to which ever party is in power but overwhelmingly left leaning. 4. 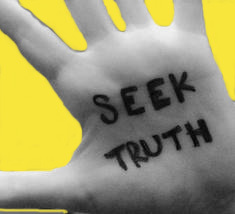 There is no political choice, left, centre or right party just opportunism and corruption by elected representatives. There is no real party of change. 5. Financial and Criminal “Police” are subject to influence by politicians and others, hence Torduric still still being free. 8. Not one Croatian Government has attempted a formal change management process of a any Croatian institution (except Defence) i.e. evaluate and redetermine it’s function and resource it accordingly with the right skill sets. This occurs in western governments regularly, hence the situation with Agrokor. 10. No education of population in regards to ethics and morality, this cannot commence until item 1 is completed. I have tried to simplify the issues as much as possible. While these issues are not addressed the Diaspora will not have a opportunity to collaborate, Invest and simply interact with Croatia in a meaningful and consistent way. The Diaspora could help address the issues by analysing and mapping out who is pulling the strings and then help Bruna, Zlatko and Zeljko, The task is enormous but not insurmountable.